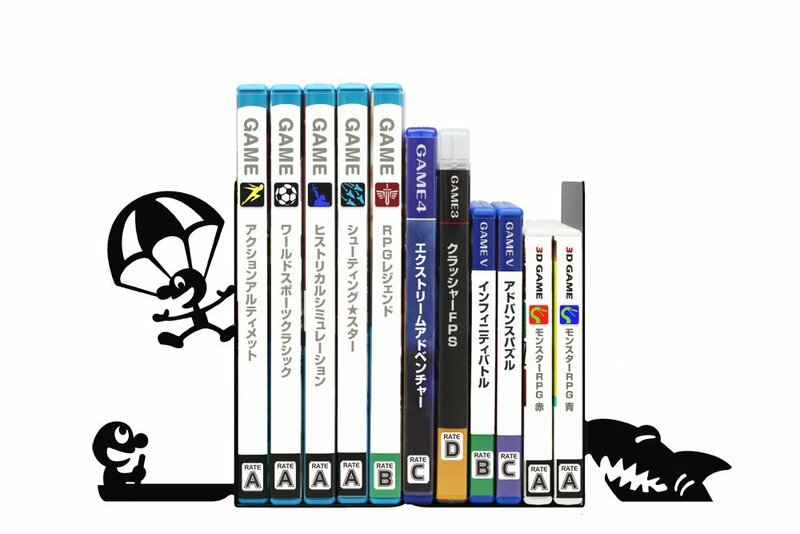 Do you ever feel like your bookshelf is missing that Game & Watch touch? The little guy in the boat certainly looks impressed by your collection of ‘GAME V’ titles. 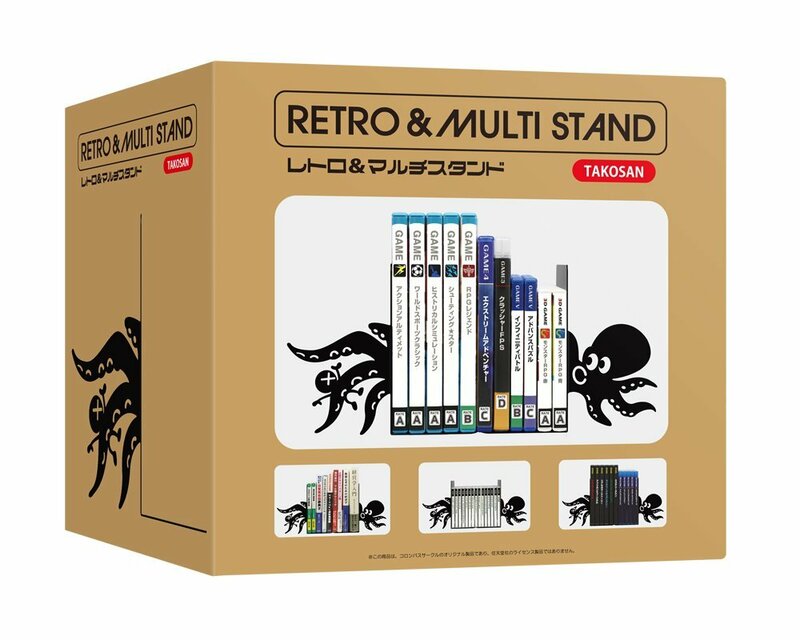 Japanese company Columbus Circle have released an awesome (and unexpected) piece of merchandise that possibly exceeds their Famicom towel in terms of being an item I didn’t know I wanted, but do now; the ‘Retro & Multi-Stand’ bookends! Two variants are available, the ‘RAKKASAN’ version, inspired by Game & Watch game Parachute (pictured above) and the ‘TAKOSAN’ version inspired by Octopus (pictured below), and the appearances of each bookend should be familiar to anyone who played as Mr. Game & Watch in Super Smash Bros.
Now that I think about it, this is actually quite a grim scene going on… but isn’t that octopus cute?! Despite not being a licensed product, Columbus Circle clearly have a strong attention to detail; even the box (pictured below) takes on the familiar gold hue of a Game & Watch console. This is a really unique way of displaying your favourite games, books, CDs, or even something like slices of bread, if you’re into that kind of thing. Unsurprisingly, it doesn’t look like they’ll be getting a release outside of Japan any time soon, but check out the links below if you want to import them to show-off your affinity for Gunpei Yokoi’s brainchild. This entry was posted in Games Culture, Merchandise and tagged Accessories, Game & Watch, Games Culture, Import, Japan, Merchandise, Nintendo, Retro Games. Bookmark the permalink. 1 Response to Do you ever feel like your bookshelf is missing that Game & Watch touch?